I remember I have a home remedy. Toast with black pepper and concentrated soy sauce can cure diarrhea. Add black pepper according to taste. Either black or white pepper powder is okay. Cook it in soy sauce until it becomes thick like a paste, like a spread. And then, spread it on the toast or dip the toast in the paste, and eat it. This stops diarrhea immediately. When you burn the toast black or very, very brown, it becomes like carbon and absorbs the poison. When you cook the soy sauce until it becomes concentrated, it becomes a paste. You put some black pepper powder in it and it warms the stomach inside, because when you have diarrhea, your stomach is cold. 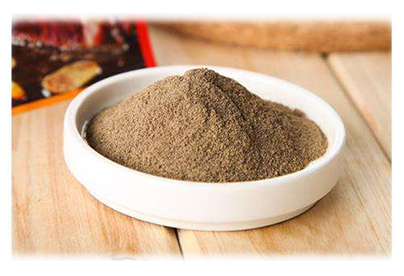 The black pepper also has a disinfecting quality. So I just eat the toast with that, and then, top it with congee, that is, rice soup, and the diarrhea stops immediately. Or you can drink some ginger tea, that is, ginger powder in water. All these combinations will certainly cure diarrhea immediately. 版權所有 Copyright © The Supreme Master Ching Hai International Association. All Rights Reserved.